Turn your pet into a porg! This hilarious Star Wars: The Last Jedi Porg Small Pet Costume lets you do just that… kind of. At least your pet will look like a porg. Available in S and M sizes. 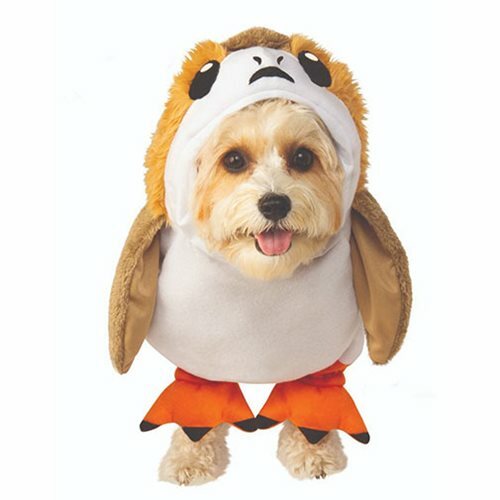 See the Star Wars: The Last Jedi Porg Large Pet Costume (sold separately) for larger pets.